BATON ROUGE — Grambling State University’s effort to start a new undergraduate nursing program got a boost Wednesday when the Louisiana Board of Regents endorsed a letter of intent in support of a smaller, focused, more demanding academic curriculum, classroom training and support so students will be successful. The Board of Regents vote in favor of the letter of intent was unanimous. If the process continues as planned, the first cohort of 30 students can start with the new GSU nursing program in fall 2018. GSU started the program in 1984 and built a strong regional and national reputation. But the program fell on hard times as some students were not successfully passing the National Council Licensure Examination (NCLEX) required state boards of nursing to be licensed to practice after graduation. 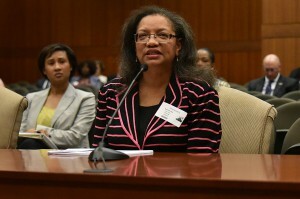 The Louisiana board ordered GSU to pursue closing the program in June 2015, the Board of Regents closed the program in August 2015 and the program was officially closed December 31, 2015. Gallot decided to ramp up an effort to develop a new nursing program, making it one of his key first-year priorities. Board member Robert W. Levy acknowledged that he was one of the chief critics of the university’s previous program, but he said though he has had lots of concerns and criticisms he supports the new program because it is well designed, well thought out and designed to better ensure student success. In addition, he said, he was not prepared “until he became president,” pointing at Gallot sitting at a table in front of the board. Meg Brown, the school’s nursing head, said she was happy with the Board of Regents’ support and she and her team will work with GSU Provost Ellen Smiley and others to best prepare to anticipate and answer all state board of nursing questions. 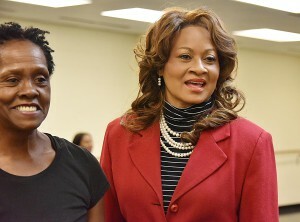 The university plans to appear before the state nursing board in early June. Photos/Video credit to GLENN LEWIS/GSU Media Bureau. 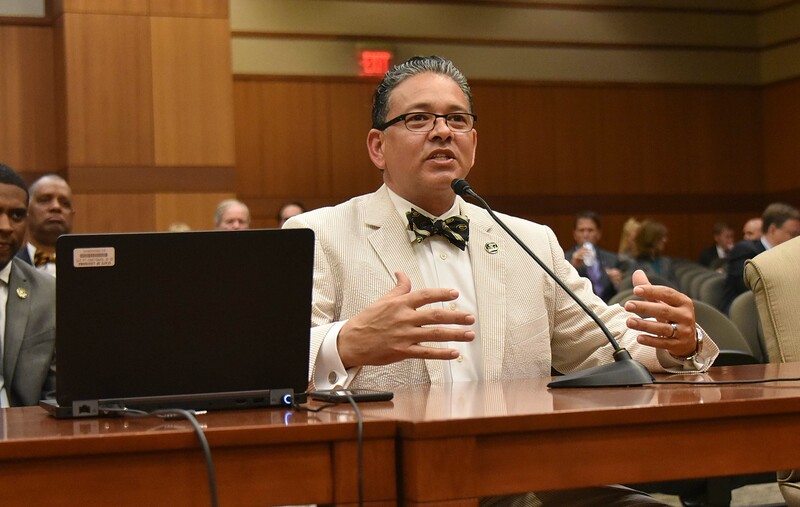 Grambling State University President Rick Gallot told the University of Louisiana System Board of Supervisors that the existing campus library has outlived its usefulness and GSU students deserve something much better. During a Thursday afternoon presentation, Gallot said the 87,000-square-foot A.C. Lewis Memorial Library must be replaced, and it should be replaced by a smaller, 21st Century library with far more technology resources for students to be successful. The president told the board how the school had an initial meeting with a library design consultant, followed that with a series of public campus focus group sessions then entertained a 66,000-square-foot library option before reducing the request to a 44,176-square-foot option that is more the right size for the right amount of money during some rather challenging financial times for the state. He said this smaller proposal would cost about $15 million. “We might have been able to get something like that with more bells and whistles, but we really want to be more realistic and provide something that is more likely to be advanced through the system and legislative processes by focusing on a more reasonably-sized and priced version,” said Gallot. If approved and constructed as proposed, the library would be built on prime campus property along R.W.E. Jones Drive, across the street from the J.T. Stewart Building and the Tiger Village Clubhouse near Simmie Holland Hall and Martha Adams Hall. During the focus groups campus representatives said they would like to see media and technology upgrades and collaborative spaces in a new library. With that feedback, Gallot asked the library design consultant to design a GSU-specific library of the future. In a short few weeks, the consultant provided a concept that would significantly alter how students use a campus library from a book volume-focused facility to a building full of electronic resources and tools. Board Chairman Alejandro Perkins told Gallot he was impressed with how he has handled the process, especially including key stakeholders. Moving forward, Gallot said the next steps include remaining engaged with GSU’s legislative delegation and state office of Facilities, Planning and Control as the school request advances through the legislative process. 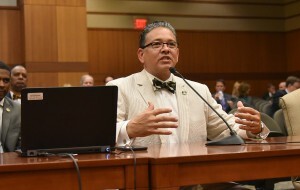 After final approval by the legislature, he said the university will seek State Bond Commission funding approval to engage an architectural firm to begin the design phase of the project. Marc Morial, president of the National Urban League and former New Orleans mayor, will deliver the spring 2017 commencement address on May 12. The graduation is scheduled for 10 a.m. in the Fredrick C. Hobdy Assembly Center. About 500 students are candidates for graduation next month, including about 200 master’s degree candidates and several doctorate candidates. 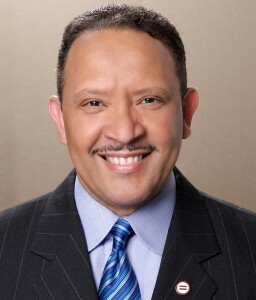 During his career, Morial has been an entrepreneur, attorney, professor, state legislator and mayor of his hometown. As president and CEO of the National Urban League since 2003, he has been the key catalyst and change agent for the 105-year old civil rights organization, refocusing the organization’s empowerment other communities of color, and rich and poor Americans. During his National Urban League tenure, the league has had record financial success, raising over $280 million in five years. The league has been recognized as a leading national nonprofit, and is highly rated by Charity Navigator, the nation’s largest independent charity evaluator. As a result, the league is among the top 10 percent of all U.S. charities for adhering to good governance and other best practices, as well as executing its mission in a fiscally responsible way. His creativity has led to initiatives such as the Urban Youth Empowerment Program to assist young adults in securing sustainable jobs and Entrepreneurship Centers in 10 cities to help the growth of small businesses. Morial helped create the Urban Empowerment Fund, a community development financial institution and small business loan fund. This entry was posted in Uncategorized on April 25, 2017 by admin. Grambling State University, Louisiana Tech University and the University of Loiuisiana at Monroe all were represented at the University of Louisiana System day at the Capitol. The goal of the day was to highlight the opportunity for legislators to change the pattern of draconian cuts to higher education to one of investment in our state’s future. GSU brought the largest contingent, with the HBCU national championship football team congratulated by Gov. John Bel Edwards at the Governor’s Mansion and the GSU World Famed Tiger Marching Band performing a concert on the Capitol steps. The GSU leadership team, including Student Government Association leadership and the President’s Student Leadership Initiative, also was present. “Our system serves over 90,000 students from every parish in the state of Louisiana,” ULS President Jim Henderson said. “It’s a $3.9-billion-dollar direct economic impact; our graduates have earned $6.5 billion in increased salaries after they graduate. “We think it’s important that legislators understand that higher education investments in UL Systems are not a cost, they are not an expense to the state they are an investment in our future,” Henderson said. “We want to showcase the return on investment that the state gets in higher education by showing them the faces of about 800 students at the university of Louisiana systems universities,” said Henderson. Louisiana Tech President Les Guide also touched on the importance of networking with state officials. 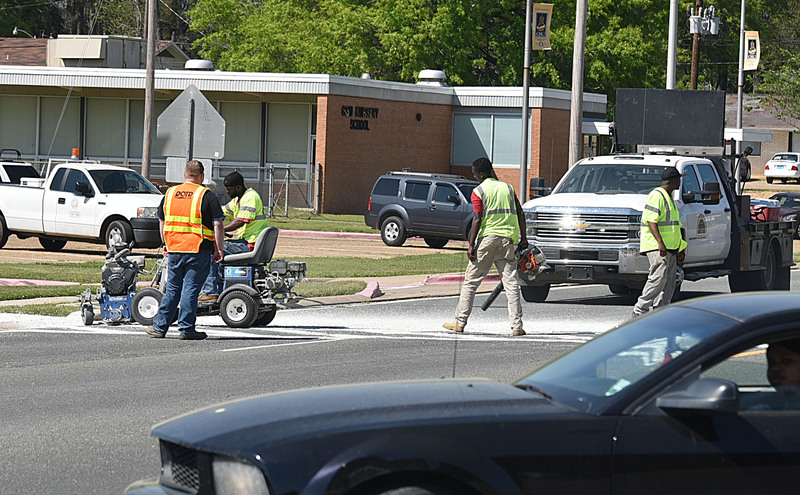 Because everyone is not from the same part of the state, they may miss key information on what is going on in another part of the state like Grambling or Tech. “I just met a representative from the west bank of New Orleans and so we get to tell about a little bit about what we do up in north Louisiana. Hopefully it helps them understand how to make good decisions,” said Guice. He has been at Louisiana Tech for 39 years and has been president since 2013. Guice enjoyed watching the different students interact with each other, showing off their school pride and networking with one another. This made him reflect on how a lot of Louisiana graduates stay in Louisiana, which creates an impact to the state’s workforce and gives back to the state. “Higher ed is not a cost. Higher ed is an investment. It’s an investment for our future. Without this investment our students may not have the opportunity to compete for the best jobs in the country,” said Guice. Although the University of Louisiana at Monroe is on spring break, they still felt the need to make their presence known. “The most important thing is to develop network and communication lines so you can avoid some potentially harmful legislation passing that may impair the universities,” said ULM President Nick Bruno. The capital is no strange place to Michael Meadows, the SGA president of Grambling State University. He visits the capital every month with other SGA presidents to advocate for higher education. “The Council of Student Body Presidents meet the actual system’s board members making sure that they understand the actual students concerns the actual student issues that the universities are facing,” said Meadows. Grambling brought more than their SGA president, one of them being Elizabeth Eddy, the SGA Chief justice. “We are trying to promote GSU as a whole, support the GSU football team because they are getting honored today and to get some more money in the ULS system,” said Eddy. 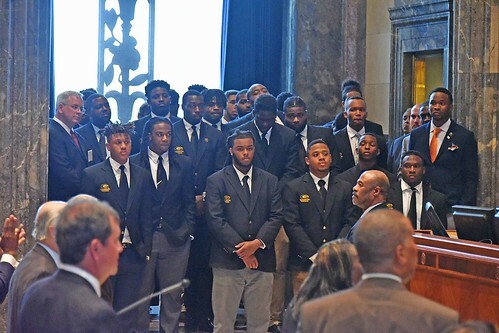 GSU’s HBCU national championship football team was honored in both the Louisiana House and Senate chambers as both bodies went into session for the day. Photos credit to GLENN LEWIS/GSU Media Bureau. This entry was posted in Uncategorized on April 21, 2017 by admin. 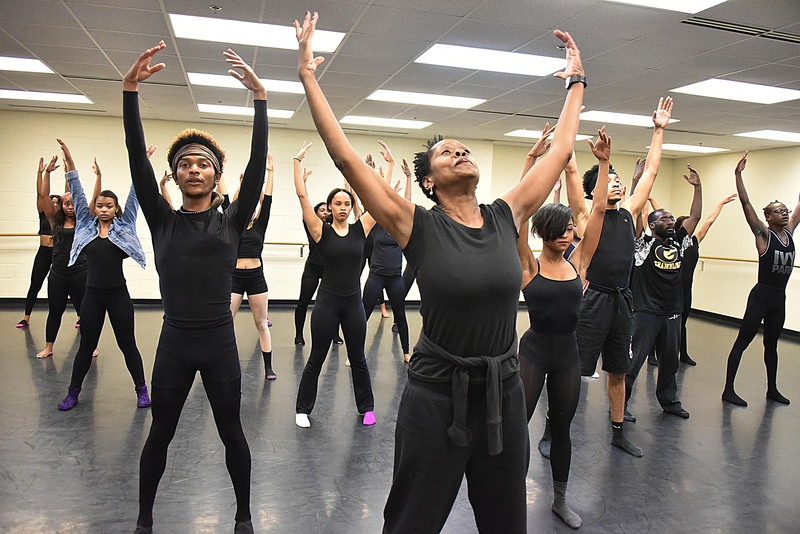 Grambling State University’s Orchesis Dance Company is preparing for its 10th year anniversary performance of the annual Dance His High Praise show in Shreveport. The April 22 event will be held at the Strand Theatre at 7 p.m. 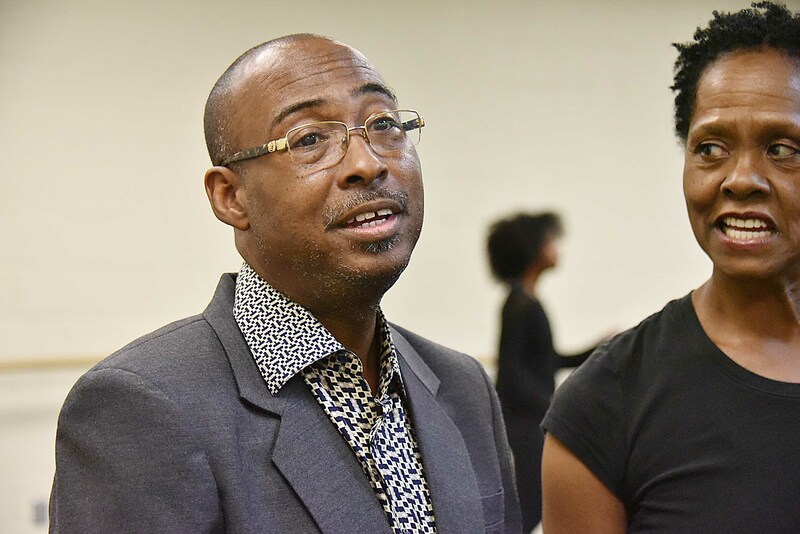 This year’s performance honors E. Edward Jones Sr., a civil rights leader and pastor of Shreveport’s Galilee Missionary Baptist Church for 57 years. Jones died at 85 years old in June 2016. Jones was central in the development of Galilee City, an uplifting revitalization of Shreveport’s Allendale neighborhood. Jones also served as president of the National Baptist Convention of America and was selected by Ebony magazine as one of the “100 Most Influential Blacks in America.” He filed a 1965 lawsuit on behalf of his daughter, spearheading the desegregation of Caddo Parish School System and bringing about the integration of the public schools. Jones started his higher education path at Grambling State University at the age of 17, graduated and later established a scholarship at the school. The auction at the Dance His High Praise show will help fund the scholarship. In addition to Orchesis, the Christian Dance Center will perform. Some members of the Shreveport dance center have gone on to join Orchesis in college. The two groups will perform to “If I Could Help Somebody” as a special tribute to Jones. There will be a special closing performance with some special guests. 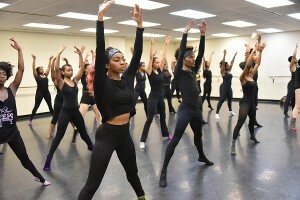 “We are performing King Jesus for the closing and I have invited several alumni to come back to perform with us,” said Dianne Maroney Grigsby, Orchesis director. To reserve tickets, call the Strand Theatre box office at (318) 226-8555. This entry was posted in Uncategorized on April 12, 2017 by admin. 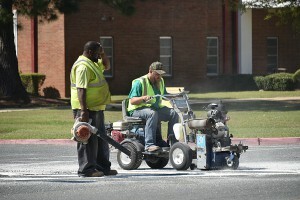 The Louisiana Department of Transportation has been doing some road work in Grambling recently, and Grambling State University has been a beneficiary. As the work continues, GSU has seen bright, new highway markings with reflective paint, particularly along R.W.E. Jones Drive down the center of campus. 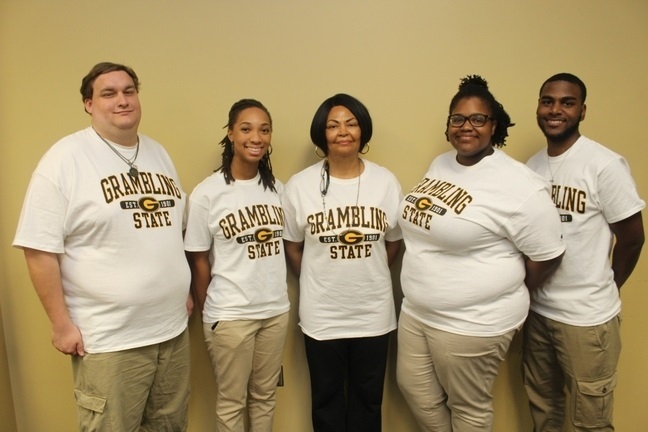 Grambling State University has qualified to compete at the Honda Campus All-Star Challenge (HCASC) National Championship Tournament, a prestigious competition that showcases the academic prowess of the brightest students from America’s Historically Black Colleges and Universities (HBCU). Nearly 50 student teams have qualified for this year’s national championship tournament, April 8-11 in Torrance, California, outside of Los Angeles. Competing for the 48 qualifying tournament spots were 78 HBCUs. After seven qualifying tournaments held in early February, the smaller group of schools earned the opportunity to compete for the title of national champion and a $75,000 institutional grant from Honda. Jharrayne McKnight, a senior biology and chemistry major; Jasmine Ayatey, a senior elementary education major; John Carter, a junior history major, and Donavon Travis, a freshman marketing major will represent GSU. “Not only do these tournaments give us the opportunity to show off our skills, but it also serves as an invitation to fellowship with like-minded students from HBCUs across the nation,” said Ayatey. The team includes veteran HCASC quiz bowl competitors, and it is the fourth year competing for three of the four team members. Travis is new to GSU and the competition, and he is excited. “I’ve just started and I’ve already made a lot of memories and I’m looking forward to making more,” said Travis. GSU team agrees when they describe this experience as it differs from past years because they had to learn how to work together without a teammate who graduated. “We had to learn each other’s personalities, strengths, and weaknesses and use that to build our collective knowledge base and help each other,” said Carter. They did not do well at this year’s national qualifying tournament (NQT); they came away with a three-way tie for a third place finish, lowering their ranking. Team captain McKnight believes having a team with mostly veterans sets them up for success, no matter which teams they face. The final round of the 2017 National Championship Tournament will be live-streamed on April 10 a.m. at 11 a.m. CT and 12 noon ET on HCASC.com. For more information on the 2017 HCASC, including a full list of the 48 qualifying teams, visit www.hcasc.com. 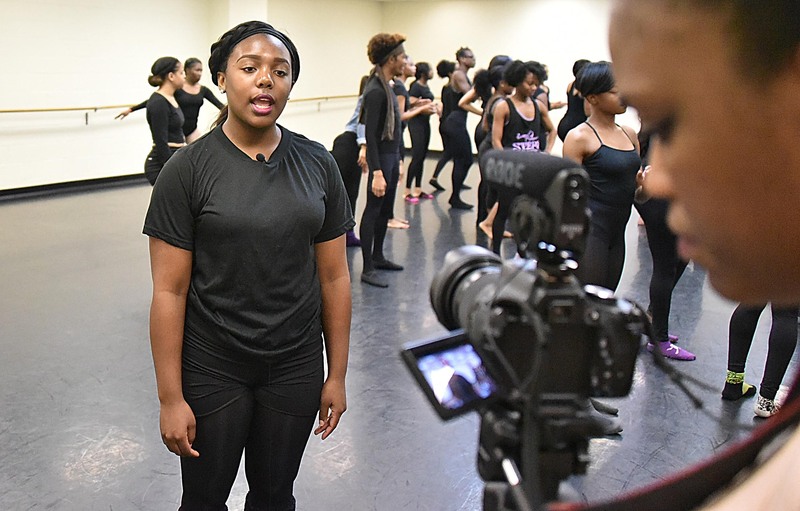 Celebrating HBCU academic achievement, Honda Campus All-Star Challenge is one of Honda’s largest and longest running philanthropic initiatives in the United States. Since 1989, the program has impacted the lives of over 100,000 HBCU students across 22 states. 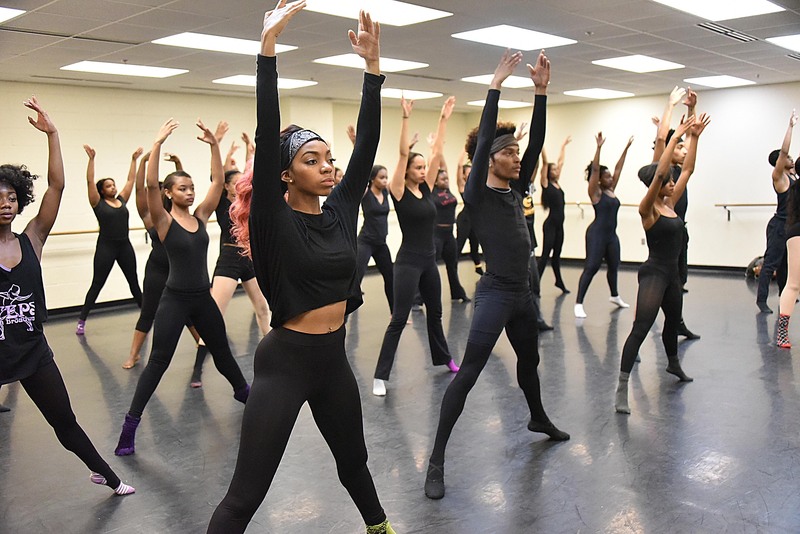 Through Honda Campus All-Star Challenge and Honda Battle of the Bands, an annual marching band showcase, Honda has awarded more than $10 million to support music and educational programs at America’s HBCUs. 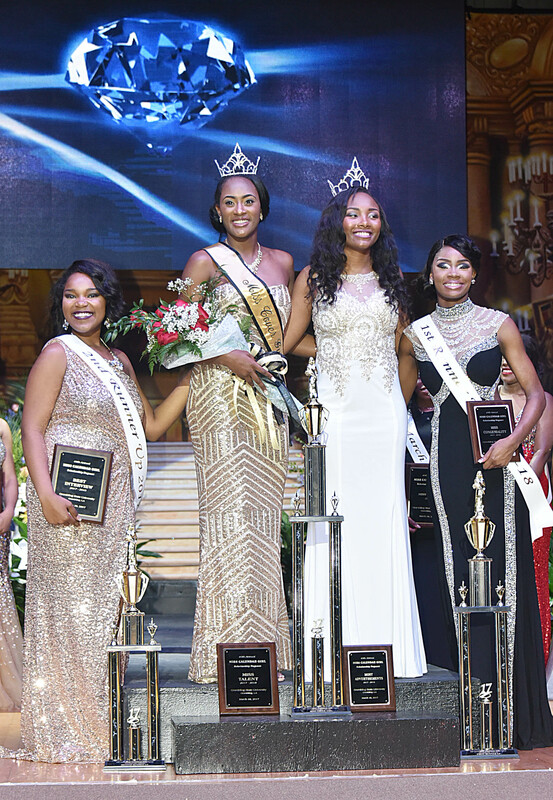 Oftentimes pageants focus on glitz and glam but Grambling State University’s annual Calendar Girl pageant is different with an emphasis on scholarships rather than trophies. 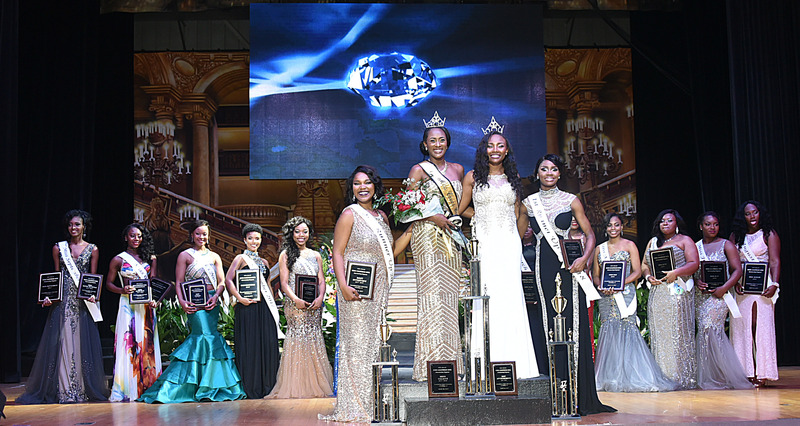 For the past 49 years, GSU has hosted its scholarship pageant, this year awarding scholarships 15 winners: Miss Cover Girl, two Cover Girl runners-up and one for each of the 12 months of the year. 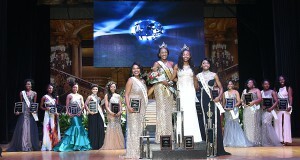 This year’s pageant was held March 18 in the T.H. Harris Auditorium. The audience was filled with supporters of the contestants, many holding signs of support. Successful contestants who won the right to be displayed in a calendar on a particular month and the two Miss Cover Girl runners-up each received $100 per semester. Miss Cover Girl gets $600 per semester as well as room and board. “These young ladies compete in a number of categories, and they work really hard to win in each one. 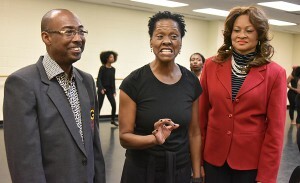 They raise money to support their participation, the pageant and the school,” said David “Rusty” Ponton, interim vice president for student affairs. “In the end, our top winners walk away with scholarship money, and that’s an important aspect that makes this more than a beauty contest. 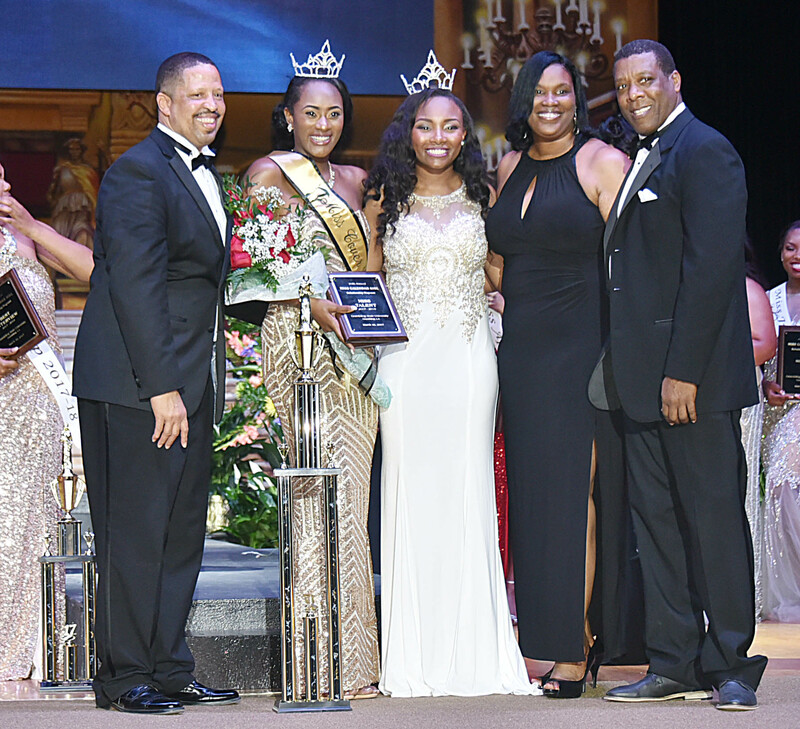 As the program ended, Jameria Davis-Miller, a sophomore biology major was named the 2017-2018 Miss Cover Girl. 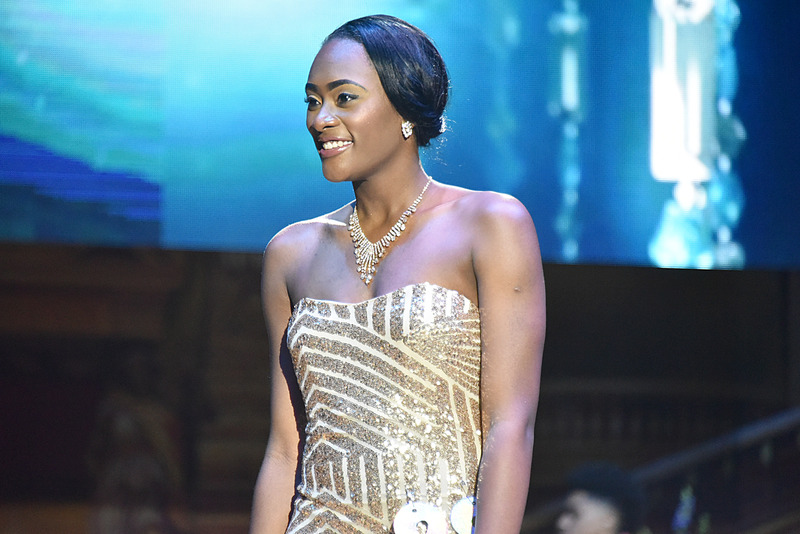 Davis-Miller, a Monroe, Louisiana, native, was one of 28 students competing for a calendar girl spot. Davis-Miller said the scholarship money was an important part of her decision to participate as it helps her family and she gets to continue representing Grambling. 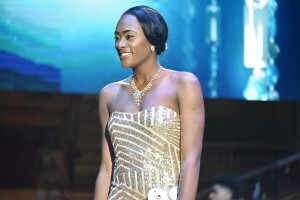 The contestants compete in casual, swimwear and evening gown segments. They are judged by a panel that determines the winners based on scoring. “I was pretty stressed out at first about the pageant on how things would go, but my parents work 50 plus hours a week so getting a scholarship back for something that was beyond enjoyable really helps them out as well as myself. 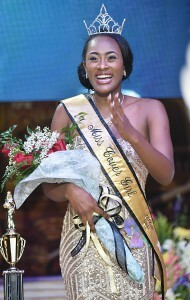 It also encourages you to be more involved at Grambling,” said Charly Gay, a freshman and a native of Houston, Texas, recalling her long nights of pageant preparation. Gay won Miss December. Grambling State University received $40,000 from GSU alumni raising money with a 10-for-10 campaign urging alumni and others to donate and getting friends to contribute. 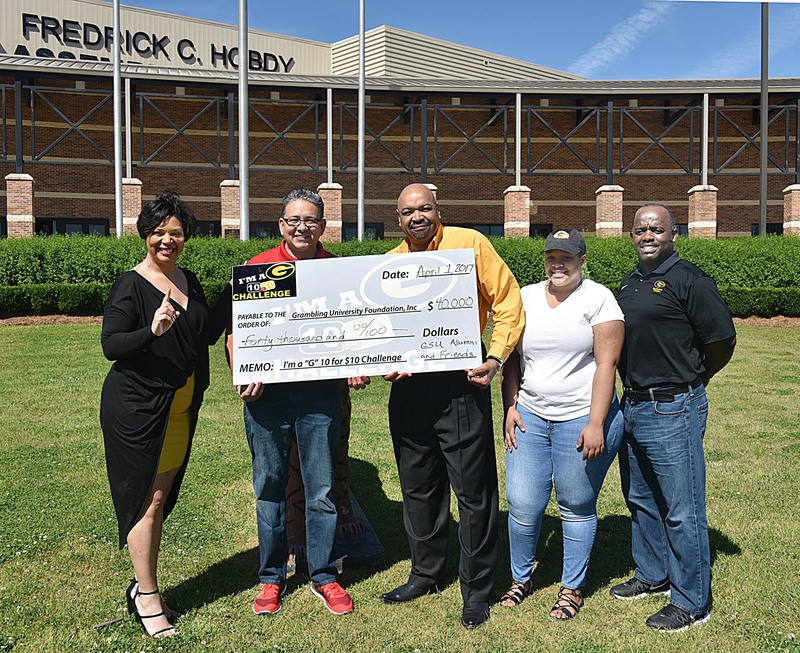 Co-chair Marva Nichols Griffin and committee member Darryl Jackson represented the group as they presented a check to GSU President Rick Gallot during the annual spring Black and Gold Game festivities Saturday. Marquisha Riggins and Zaria Chertien, a couple of GSU freshman from Houston Texas, have already benefited. Each received a $500 scholarship to help defray the cost of college. The money raised is used to provide university students who need some money to close the gap of what they have and what is needed, with students receiving scholarship grants between $500 and $750. Since its start in 2015, the $10-for-10 project has raised thousands. Griffin said the group raised $55,000 in its first year, making a total of $95,000 raised.